Fudge that will make all your friends jealous. It's the perfect fudge. This is some fudge that will make all your friends jealous. They are going to want some of this, trust me. It’s amazing. The fudge makes great gifts, as well as the perfect dessert for a holiday or Christmas party. Y’all will love this old fashioned homemade fudge. I will risk burning my tongue to eat it out of the saucepan. Seriously. My house is full of people that love fudge. We will almost go to war over the last piece, which inevitably, I am going to get. I love my kids, and I want to teach them to share with my example, but, ya know what? It’s fudge. ‘Nuff said. A couple of years ago I received a call from one of the ladies in my son’s elementary school cafeteria (I volunteer at the school all the time, so I know them all). She said that one of the new guys in the cafeteria could NOT believe that a parent would let their child come to school with a jar of marshmallow cream for lunch! She quickly walked out there and found my son sitting there enjoying his creamy, sticky-fingered mess, with a plastic spoon. She laughed and told the man that this child’s mother would never have allowed it if she knew. I couldn’t help but laugh, and I now hide the marshmallow cream WAY in the back of our pantry where my son can’t find it. The fudge recipe, which I am about to share (sounds like it’s worth a million dollars, doesn’t it? ), is so quick and easy and amazingly delicious. But, beware, if you make this, people will be camping out on your front lawn to get some. Step 1: Start by melting the butter in the saucepan (at least a 3-quart pan) on medium heat. Step 2: Add the sugar and evaporated milk (make sure you don’t use condensed milk). Stir it until it’s blended. It will take a few minutes to start boiling. Make sure your saucepan is large enough, so it doesn’t boil over. If you double this recipe, you will need at least a 6-quart saucepan. Step 3: Once you get the ingredients to a full rolling boil, put your thermometer in and keep stirring until it reaches 234-degrees. If you don’t have a thermometer, that’s fine. Start the timer for 4-minutes after it starts boiling. When it reaches 234-degrees or 4-minutes, remove the saucepan from the heat. Step 4: I always add the marshmallow first because the ingredients are still so hot and will melt the marshmallow cream faster. If you add the chocolate chips in first, that’s fine, but it cools the fudge off enough that it takes longer to melt the marshmallow. Step 5: Next add the vanilla. Step 6: Add the chocolate chips. Fudge is such a beautiful thing to look at, isn’t it? Maybe it’s because I know it’s going to taste sooooo good. 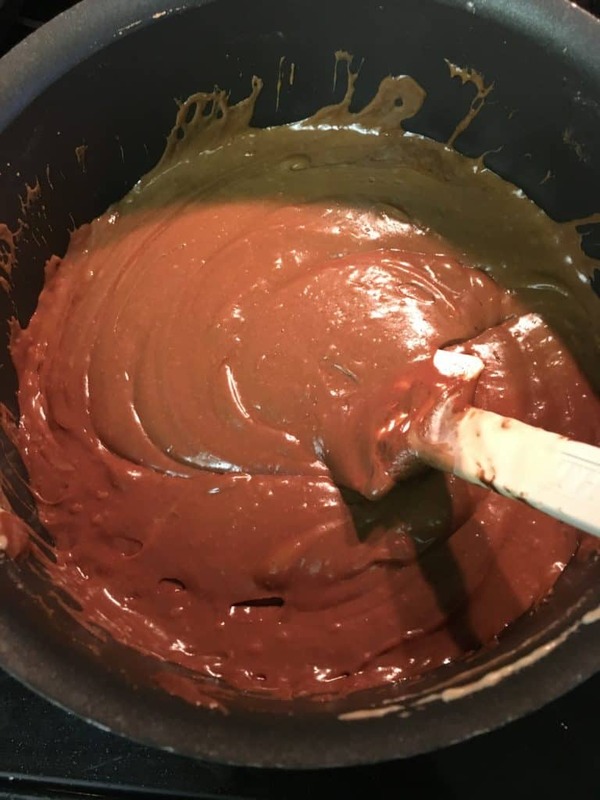 It’s also probably a good thing that I am only making one batch, and that I can’t fit my head into the saucepan because I would lick every drop of that fudge off the side if I could. 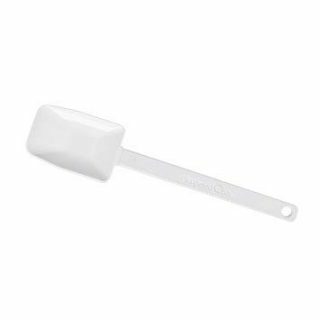 Believe me, I try to get every drop with my spatula. But, believe it or not, I do share some with the kids…unless I make it while they’re at school. Ya know, because that would be more convenient! 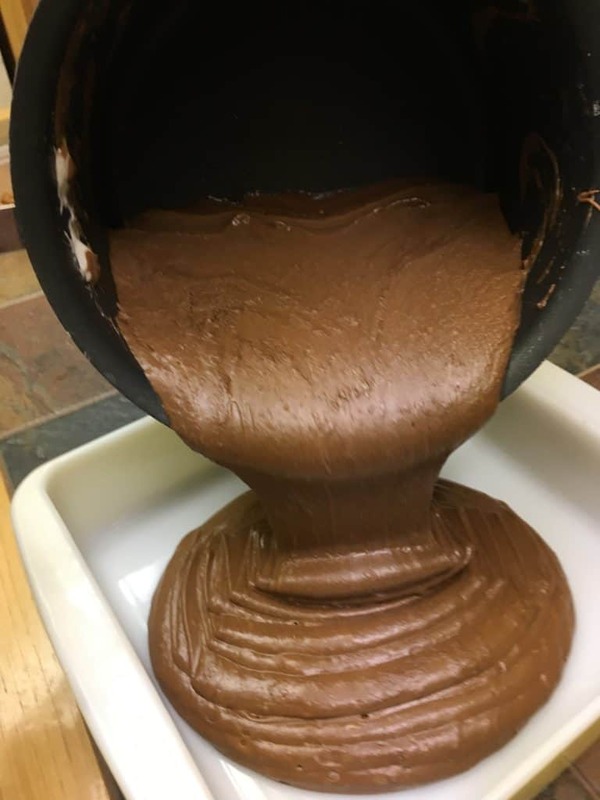 I like my fudge thick, so I use a smaller pan. 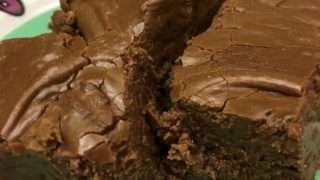 I use either a disposable tinfoil pan (about a 9″ x 9″), or a ceramic baking pan, and never had a problem with the fudge sticking, most likely because there is so much butter in the recipe. If you used a stoneware pan, you will probably need to grease it first, but otherwise, you should be ok. Using a 9″ x 9″ pan makes the fudge pretty thick. 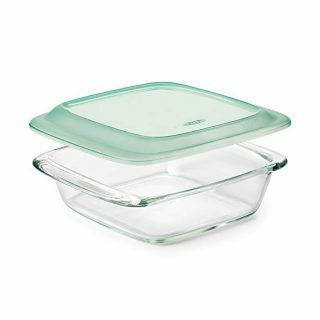 If you’d like smaller pieces, you can use a 13″ x 9″ pan instead. As the fudge cools, it will set up. After it cools, put some Saran Wrap over the top to keep it from drying out. (If you have a crazy cat that tears through the Saran Wrap to lick off half of the fudge, put it in a cabinet). 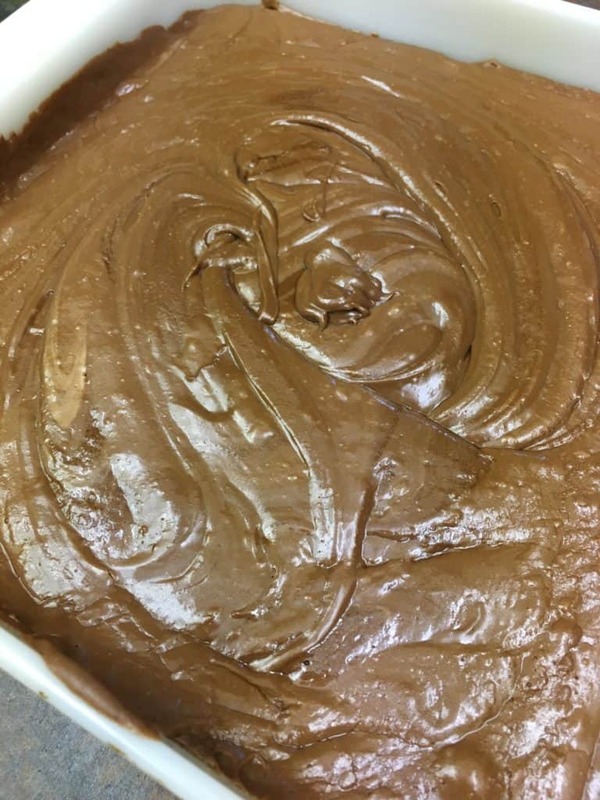 There are a lot of possibilities with this fudge. You can add peanut butter, butterscotch, or even mint chips in place of the chocolate chips. Or, you can do half chocolate chip and half peanut butter, for example, and get a great and tasty combination. If I am making fudge for the kids and me, we don’t add any nuts, but my husband loves walnuts. You can also add pecans as a treat. If you’re looking for something to take to the front office at your child’s school, they will forever love you if you bring in fudge. It’s an inexpensive way to share with others, and you will gain a lot of best friends. Fudge makes a great gift for teachers, neighbors, church potlucks, and so much more! Enjoy. 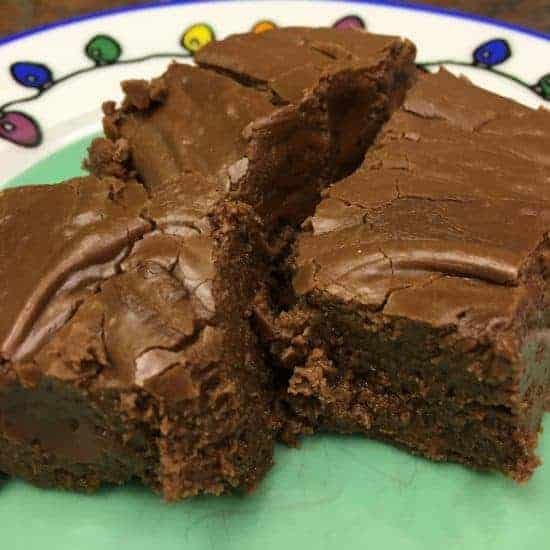 This is an easy homemade chocolate fudge recipe. The old fashioned fudge is a popular recipe for parties, Christmas, or anytime around the holidays. Creamy and smooth fudge is the perfect dessert. 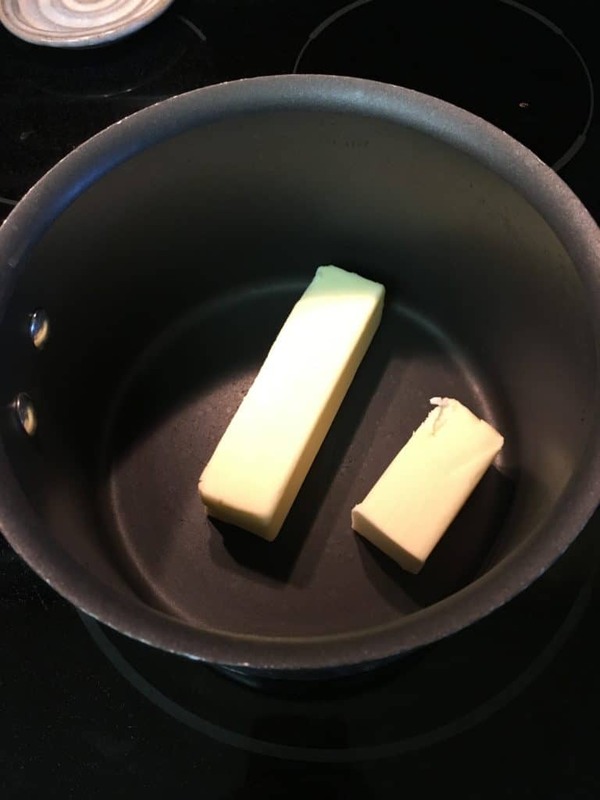 Melt the butter in a saucepan on medium-high heat. Add the evaporated milk and sugar and stir. 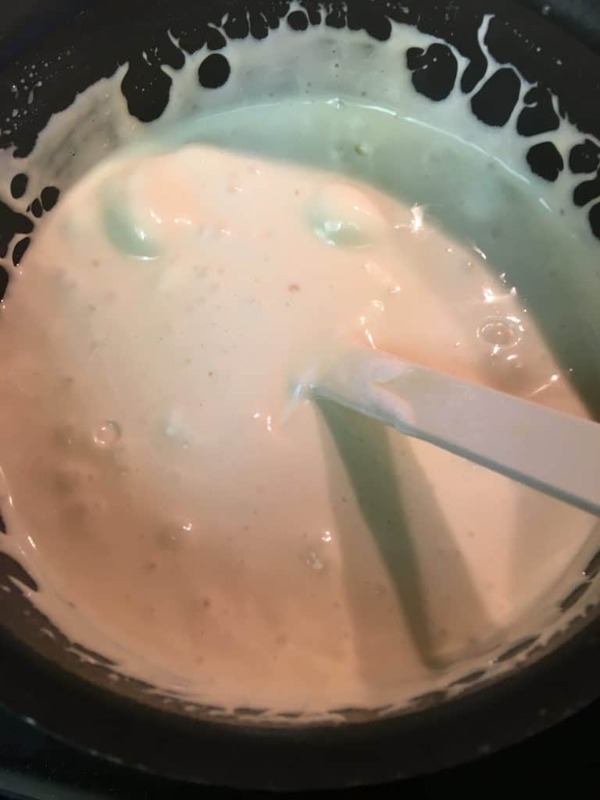 Bring to a full rolling boil on medium, stirring constantly. 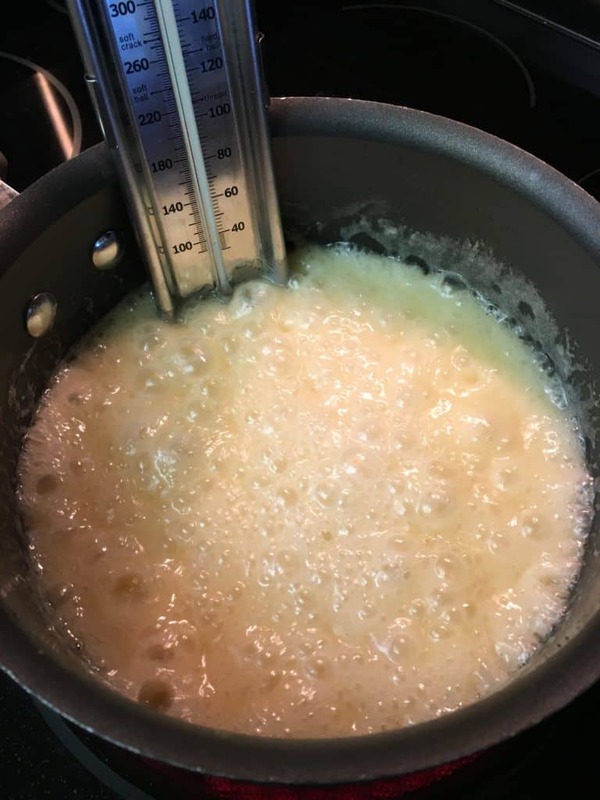 Cook until candy thermometer reaches 234-degrees or for 4 minutes. Add marshmallow cream. Stir until blended. Pour into pan and cool. Walnuts are not included in the nutritional information. Our family name for this fudge is 5 lb. fudge. When it should really be 10 or 20 lb. fudge after eating. What would Christmas be without this fudge! I love it! That’s a great name for the fudge. I’ve already made it twice now and it’s not even December. I think 10 or 20lb. fudge will end up being the perfect name after I get done eating it all. Ha ha! Do you use milk or semi sweet chocolate chips? I use semi-sweet chips. If you make it, let me know how you like it. 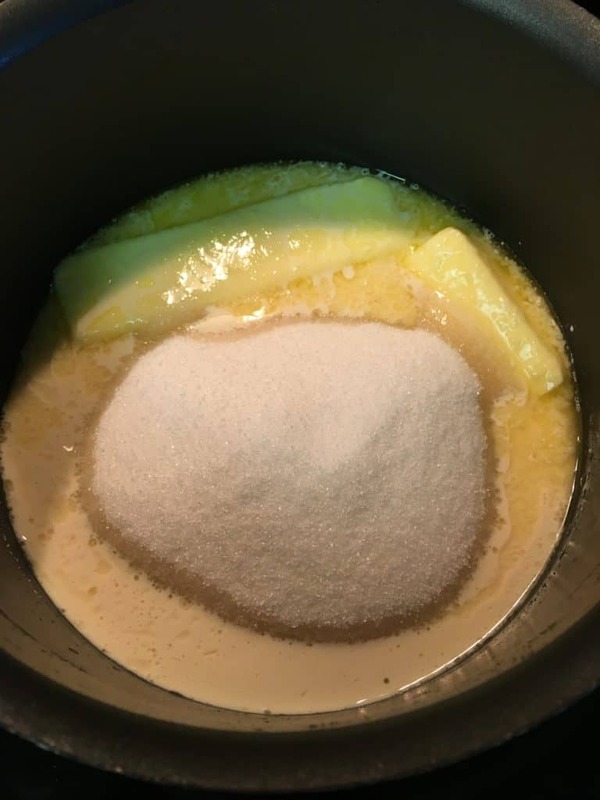 You add the vanilla after you’ve stirred in the marshmallow. Let me know how yours turns out! Sorry to take so long to respond, somehow this ended up in my spam folder. Happy Holidays! You didn’t mention when to add the vanilla. Add with chocolate chips? Oh! Sorry about that. I add the vanilla after I add the marshmallow. I am so focused on eating the fudge that I forgot to add it to the recipe. 🙂 I have forgotten to add the vanilla several times and it still tastes delicious. I will go in and fix that. Thanks Susan! Happy Holidays! I always leave it on the counter. It’s perfect at room temperature. I’ve had some on the counter for a couple of days. This has been recipe in my family for years! Two things. My grandmother taught me not to stir once the sugar dissolved. I usually use half the marshmallow. It makes it taste much richer. Just a tip from old hand. It’s a great recipe! I will have to try it that way. I’ll have to try it with half of the marshmallows, too. Thanks for the great tip! This recipe has been in our family for years. My mom’s recipe is named Easy-do Fudge. The difference from this recipe is ours only calls for 1 stick of butter. I love that is so easy to change the flavor by just using another flavor of chips. I usually add pecans to one batch of the chocolate. I use milk chocolate chips. It is addicting!! I put it in my Christmas boxes I make for gifts. I have found that using your mixer to mix it all together after removing from the stove is faster and easier on my arm. I’ll have to try your family recipe. Milk chocolate chips are soooo delicious! It’s very addicting! I’ve put the fudge in gifts for my kid’s teachers, too! I have been making this fudge recipe for over 30 years. It’s on the back of the Marshmallow Cream jar and I do it in the microwave in 11 1/2 minutes – Yum!!!! I’ve never tried it in the microwave. I’ll have to try it! Thanks for coming by! You know what, this is not the southern fudge I grew up with, because the real southern cook does not use marshmallow cream in our recipes. I don’t think the marshmallow cream had even been invented yet! You guys must be pretty young! So fun, Dana! I would love to hear about your recipe! Thanks for stopping by!